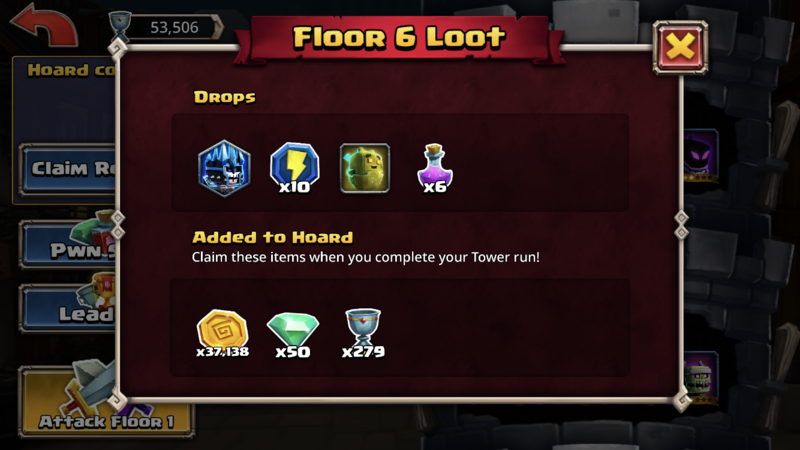 Changed the gem distribution in the Tower of Pwnage to pay out in varying amounts every other floor as opposed to only from the top floor. The total of 275 gems remains the same. The gem payout for floors 2/4/6/8/10/12 are 10/20/35/50/70/90. Added music to Jungle dungeons. Changed Valkin's "To War" phrasing to say "Water damage", which it has always done, but it used to say "Cold" damage, which was sort of confusing. Fixed the popup of the day 5 bronze door to say that it pays out 20 Samurai Takumi tokens. It was always paying out 20, but the popup said 10. 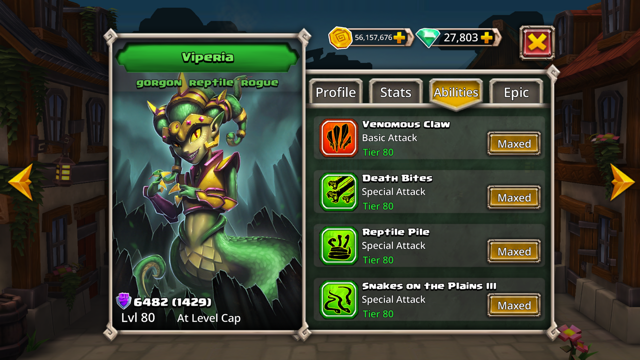 So where is the notification that Viperia's first attack was changed from Snakes on a plains to Death Bites? I lost a freaking match because the attack was changed and Viperia's Death Bites attack does hardly any damage. This is the first DB has actually made me angry. I had to stop myself from typing this in all caps. Rogar is screwed up too. Whirlwind is now his third attack. Here is the new order. Yes I'm angry first long streak I've been able to maintain all season, lost because of a unannounced change. Astrid, Kozar, and Rogar have all had their first AOE attacks replaced with single target attacks as well. This whole hero revamp thing is going FANTASTIC. Unannounced stealth changes that take mid-level heroes (minus Rogar) down one notch in useability. Keep up the great work! This really needs to be fixed or addressed, you just made Vipera worthless in PvP. Many are quite unhappy about this change. Why weren’t the ability changes listed in the patch notes ? Lol it’s The Fourth of July! The devs have decided to set off some “fireworks”. It's apparently an issue. The team sent an in-game mail with compensation. Great news. Really happy with the efforts being made by the Dev team! Also thanks for the in-game compensation. My team has been ruined by the ability changes, My Kozar who I beefed up with runes so that he could one shot teams with home run in PVP has been made redundant, his pummel ability being first now and the home run ability taking 7 turns to be available for use, I really hope these incredibly annoying changes are fixed soon. 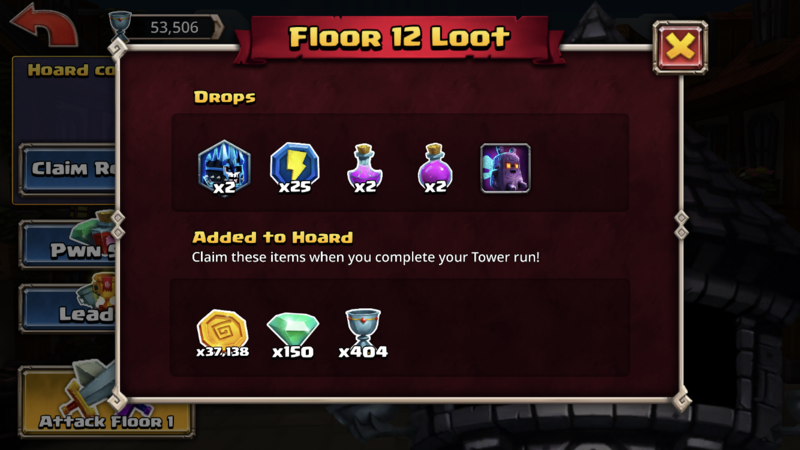 Would have preferred gems on EVERY floor, but a step in the right direction. Thanks DB! I want to publically retract my previous comments on the matter. The devs responding AND issuing (very generous and unexpected) comp on the evening before a holiday is a very impressive move. A significantly positive change in approach when compared to other recent issues. If you guys continue to make me look like an **** in situations like this, then this game may have some life and hope yet. A sincere bravo to the response protocol here. I had to go through all 80 heroes and see who got affected by this bug. It may have been an error but keep this in mind DB! Next time a guild games comes up and you really want to shake up the meta for a few days just swap the abilities around! That could be an interesting event tho. Just randomly switch all abilities around in every pvp battle. shade could get possession first or emily might suffer and have to wait 2 turns to revive! Is Astrid's inability to upgrade her ability related to the changes they made. 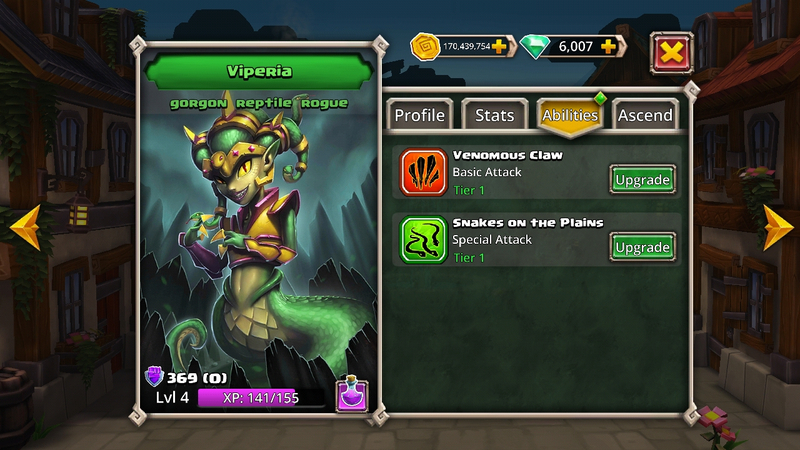 And wasn't Viperia abilities changed about? Mine shows like it always has. Can't seem to upgrade Black Diamonds Blade Storm either. Inability to upgrade ability has no utility and is only futility which will breed hostility and senility until civility and virility overcome sterility and docility, and nobility and humility inspire facility, motility, and eventually tranquility. @sirtainly Did you swallow a thesaurus or something? 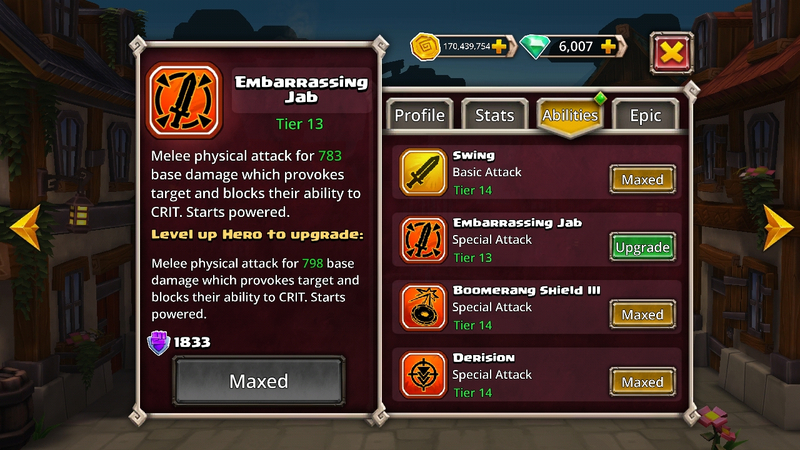 @Joel Hero abilities are not being able to upgrade, fix needed ASAP! Also I leveled up, like from 71 to 72, with no notification. Only gained 1 stamina point. I do hope this is set for everyone and it is not only just me gaining 1 stamina point per level up. I think the issue with upgrading abilities is because the ability that changed to a slot needs upgrading but that slot's correct ability is maxed. Just try to max every ability. Hasn’t it always only been one stamina per level? Except for that mystery one stamina that went missing from level 60 - 70? (That they have us back with the recent level increase). It's always been like 50 or 70. @Wasi is talking about the cap increase of stamina able to regenerate. @MrTheWaffleKing is talking about the reward stamina for leveling up.